Hello! 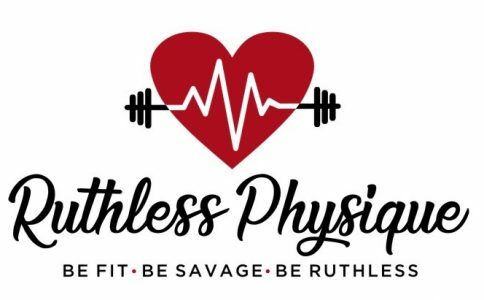 I recently started reading UltraMetabolism by Mark Hyman and it is an eye opening book, everything in it makes so much sense. But I want to tell you a little of my back story before I start talking about the book. I have been dealing with fluctuating weight since forever. I eat less and less calories and workout more, but that has not worked me for a while. I know better, but hoping one day I would see a significant change I kept doing this. It’s been 4 years and I’ve been so focused in losing weight that I actually gained weight. I have always been at a steady 145 lbs but over the course of 4 years I have put on 10 pounds. I weighed close to 160 once, but I am back down to 150 lbs. Which is okay, I don’t mind weighing a certain weight if I feel good about myself. I was able to lose some weight because I started the 24 Day Challenge with Advocare. But to me it isn’t about the weight loss anymore it’s about just looking great in a bikini. Okay, I kept beating myself up, why am I not where I want to be, it’s been 4 years what the heck is going on! So this book I’m reading is actually opening my eyes up. A topic that was discussed in the book is how eating less calories and working out more will help you lose weight. Wrong! I believe it because I have been doing it and it is not working! Your body has to have a certain amount of calories in general to function properly, when you throw if off balance it goes into starvation mode, meaning it holds on to anything to keep itself from starving. In the book it states that the minimum amount of calories your body should maintain is your weight x 10. For example, I weight 150 lbs, so I should have a minimum of 1500 calories to maintain balance and not allow my body to go into starvation mode. Therefore if I work out and lose 500 calories, that puts me at 1000 calories for the day, meaning I am missing 500 calories to maintain my body working normally, which in turn throws my body out of whack. I’m basically starving myself with 1000 calories a day, so my body works harder to hold onto what it can. A healthy balance would be eating 2000 to 2200 calories because if I lose 500 calories a day then I’m at 1500 calories which is the amount I need to keep my body from starving itself. I’m sure you have a read of people who lose 20 lbs and they gain it all back. It’s because they shock their body in the beginning by substantially dropping the calories they eat, eventually though, the body starts catching on and it becomes harder to lose weight or body fat. We’ve all heard the stories and seen them, and people wonder why they’re stuck. This is probably why! Everybody is different though, there is no 100% proof guideline to follow. You just have to learn your body and how it responds to certain foods. I wanted to tell you all about something else that I found very interesting. I read this from the book, “our obesity rate has tripled since 1960. Interestingly, this date corresponds directly to two major dietary shifts in our culture. As discussed in the last chapter, this was right about the time the concept of a low-fat diet being good started being promoted by the government, food corporations, and the pharmaceutical industry. When the amount of fat in our diet was reduced so dramatically, what do you think it was replaced with? If you guessed high-glycemic-load carbs, you are right. The absence of fat meant that we had to fill that slot in our diets with something. That something was highly processed carbohydrates that are cheap to produce and hence very profitable. This whole issue was reinforced and our intake of these bad carbs soared in the 1990s, when the U.S. government published the original food pyramid, which recommended that high-glycemic-load carbs in the form of bread, rice, and cereal should be the single biggest component of your diet. The consequence? Today two thirds of our population is overweight and obesity will soon overtake smoking as the single greatest cause of death in the country.” It’s all true! 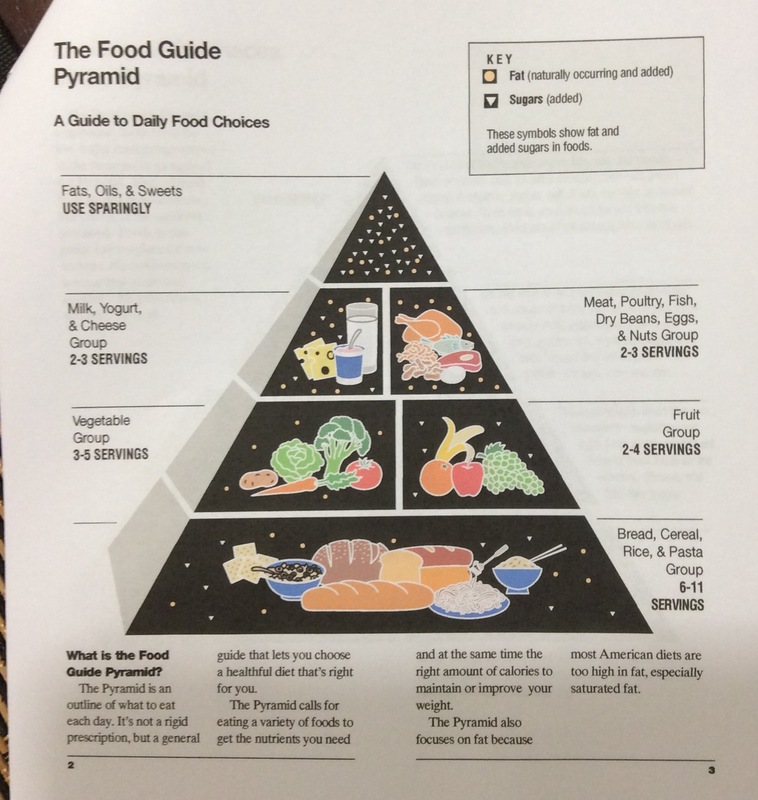 I actually got a copy of the food pyramid and it clearly says you should eat 6 to 11 servings of processed carbs, oh and whole grains. Think about it, I kept reading the guidelines to the food pyramid and reinforces the whole low fat diet. “What if I want to lose weight or gain weight?” The response in the food guide is, “the best and simplest way to lose weight is to increase your physical activity and reduce the fat and sugars in your diet. Just try to pick the lowest fat choices in the group” now you tell me how this sounds, to me it’s basically saying drop your fat intake, fat is bad, fat is no good etc. 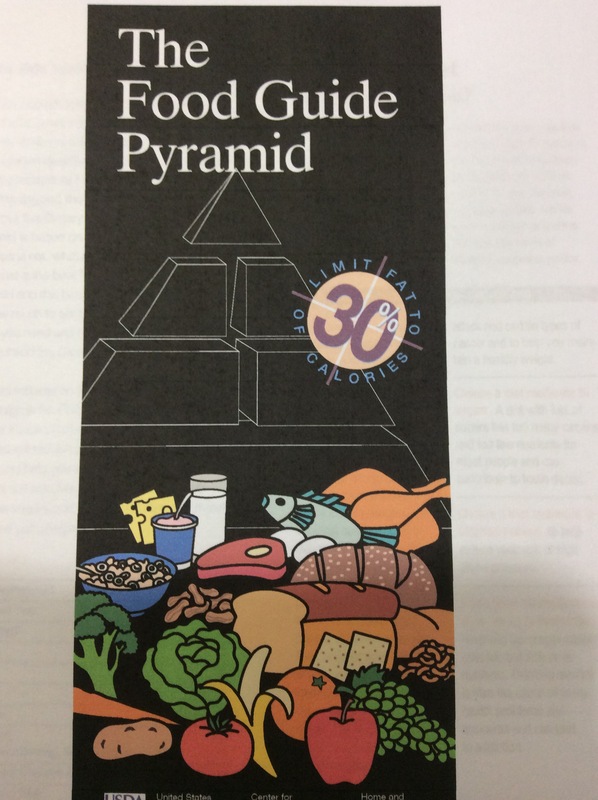 This is in the food guide pyramid. Fat is the culprit throughout the whole guide. Yes, some fat is bad but not all fat is bad. Your body needs fat, after all it’s made out of fat! If we are promoting low fat diet, then why have we gotten fatter, makes no sense. Put two and two together, when the low fat trend came along, we got fatter! Why? Because we replaced the fat for processed carbs. Sadly this is what our government promotes. If you want to put things into perspective ask yourself this before you eat something, “will my ancestors have eaten this?” If not there’s your answer. I will keep posting some more excerpts of the book in the future. Read on, and if you found this article interesting share it and tell your friends. I’m no nutritionist, just a curious person.